Fourteen Assyrian families who had migrated to Europe following the 1980 coup have permanently returned to their homes in Midyat, in Turkey's southeastern Mardin province, reports said Thursday. Before returning to their hometown, the families built modern villas using local stones unique to Midyat. 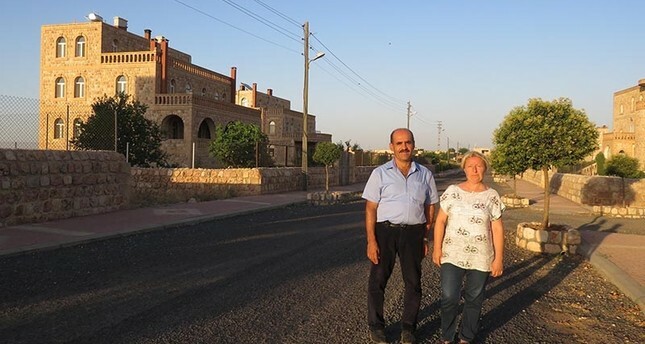 The village head Aziz Demir reportedly told the Doğan News Agency (DHA) that the Assyrians had involuntarily left their homes following the coup and always had a yearning for the town. Demir noted that he had also left the town in the 1980s for Switzerland, and returned after 20 years. Assyrians reportedly started visiting their homes after the year 2000 and planned to permanently return. He explained that the village was a prohibited zone in 2002 and 2003, but the Assyrian population spent tremendous effort to open the area for residing. "These efforts continued until 2006 and we opened the village for inhabitancy on Sept. 6" Demir said. The village head also noted that Assyrian youths prefer to stay in Europe, while their families prefer to settle in Midyat. Turkey's non-Muslim minorities have long been treated as second-class citizens and deprived of rights. Since the Justice and Development Party (AK Party) came to power in 2002, Turkey has sought to restore the rights of minorities as well as temples of minority faiths, from Assyrians to Jews and Greeks. Many properties have been returned to these minorities -- decades after their forceful confiscation by the state, while the government also pursues a policy of restoring abandoned historical buildings. There are 25,000 Assyrian Christians in Turkey, 18,000 of whom live in Istanbul. Mardin, a city in southeastern Turkey, was once home to a sizable Assyrian community, but most emigrated abroad.